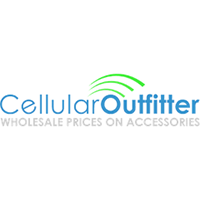 ● Cellular Outfitter regularly offers coupon codes for 10-15% off order totals, or as much as 20% off orders of $25 or more. ● Customers who “like” Cellular Outfitter on Facebook will sometimes receive rewards, like 10% off their next order. Some exclusions might apply, e.g. phones are not eligible for the discount. ● If you are not happy with any Cellular Outfitter product, you may return the item for an exchange or refund of the purchase price (less shipping) within 90 days of purchase. Returns must be accompanied by a RMA number, which will be issued by Cellular Outfitter on request. ● Cellular Outfitter offers flatrate shipping via USPS First Class Mail. Fees are $5.99 for the first item and a $1.99 shipping and handling fee on each additional item. Cellular Outfitter offers 25% off your first order and a free stylus pen by adding your email address at the home page pop up. They offer a full range of mobile devices and accessories. They offer a no questions asked 90 day return policy. You can shop by category by clicking on the picture of the item you are interested in. You can shop by brand by using the menu on the left side of the landing page. They offer wholesale prices on many of their items that include cases, phones, headphones and other mobile accessories. They have over 250,000 products in their inventory. For most up to date offers check out Cellular Outfitter on Facebook and Twitter or contact Cellular Outfitter Support for any questions.